The tulips here are just barely peeking above ground. Spring is about three weeks behind last year. We’re a little slow here, too. But that tulip is a beauty! I hope your flowers bloom soon, Amy. 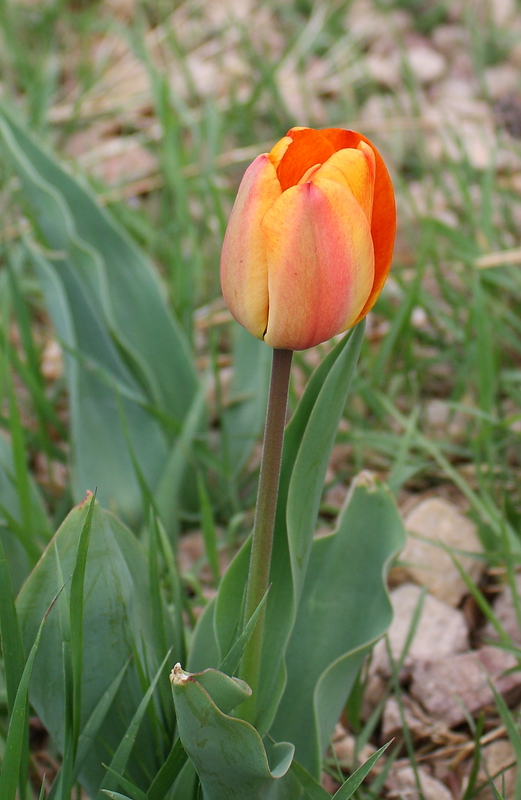 And yes, that tulip was lovely enough to ALMOST make me not see all the grass growing in the rocks. HA! But it snowed here today. Wrong, wrong, wrong! You tell that snow you’ve had enough, Barb.